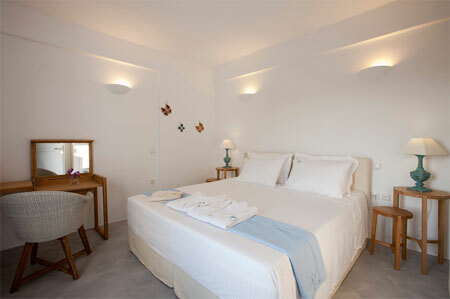 We welcome you to Sun Anemos resort. 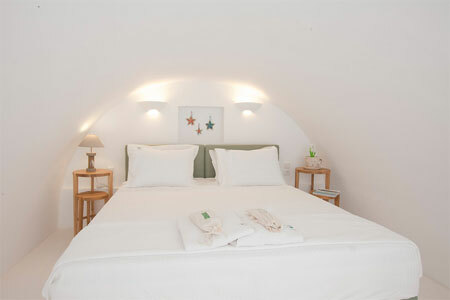 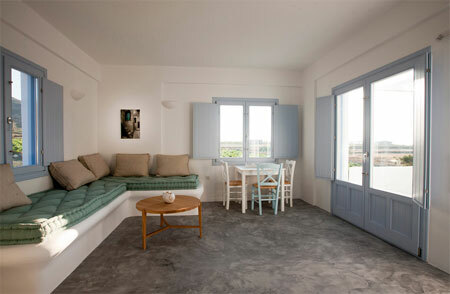 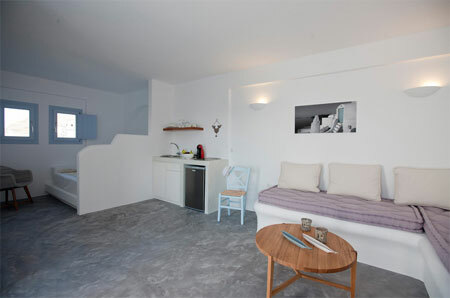 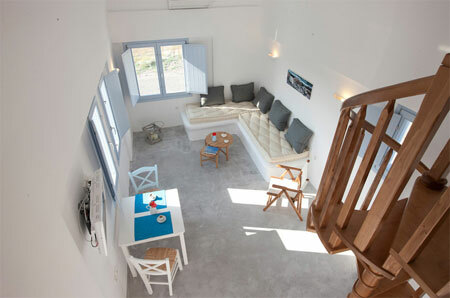 A unique choice for your stay in Santorini. 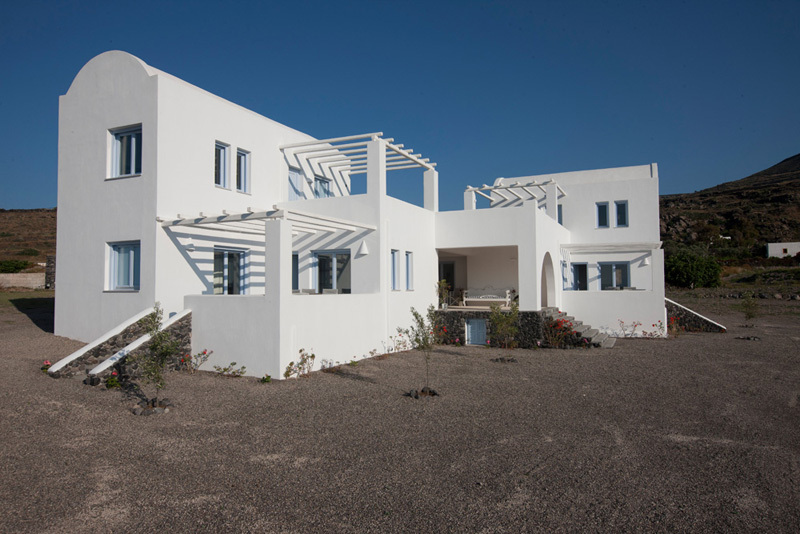 Next to the famous sunset of Oia, Sun Anemos resort are rising in May. 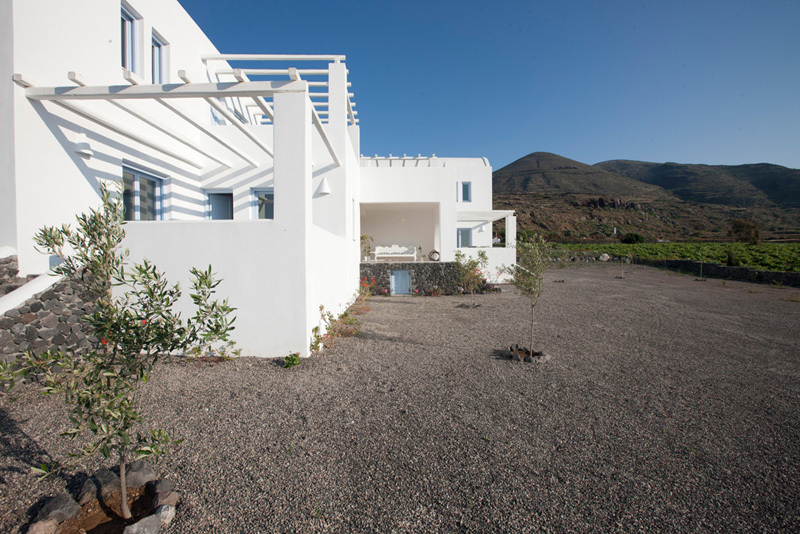 A new entry to the sustainable tourism. 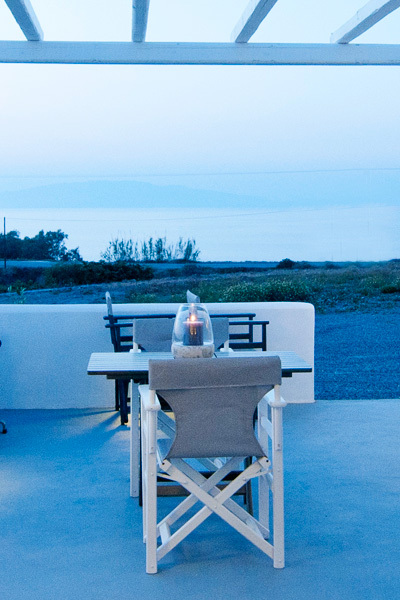 The aim of our vision is to provide you with an elegant and sophisticated level of hospitality that deeply respects the natural habitat. 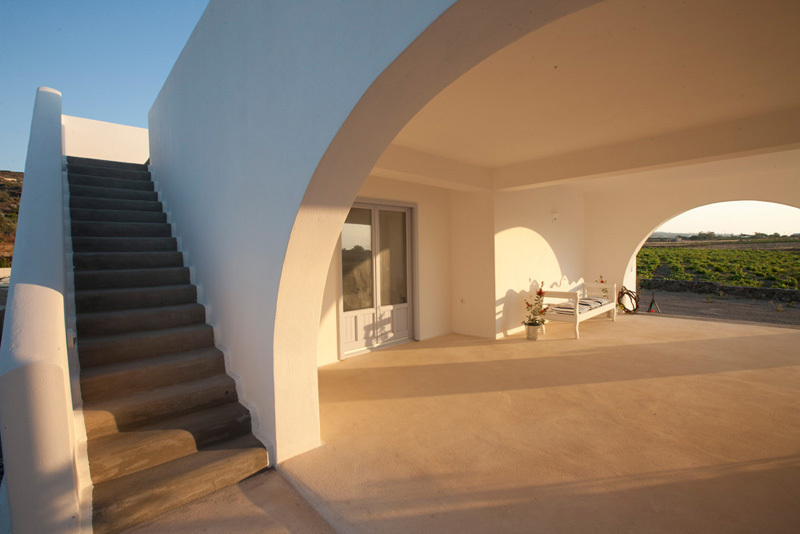 We are waiting for you in the north-east part of the island, next to the first traditional and scheduled settlement of Oia that is under the protection of UNESCO. 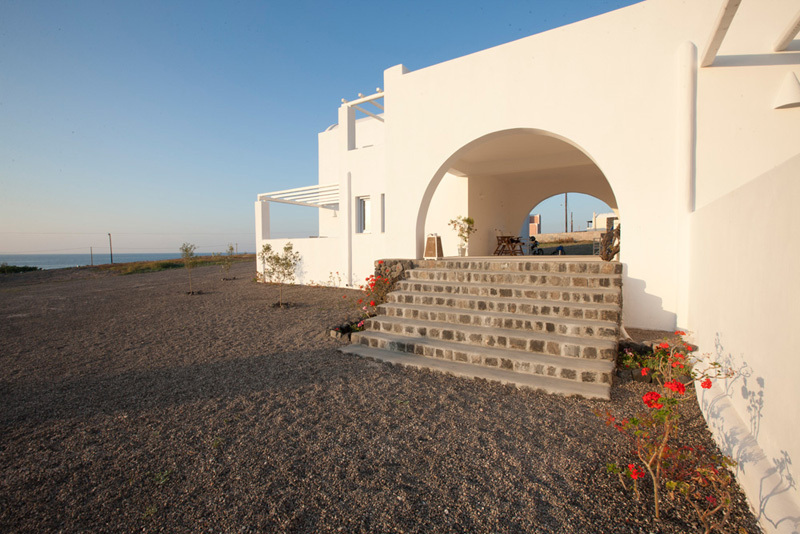 We are only a step away from the awe-inspiring and wild beauty of the volcanic rocks of the caldera. 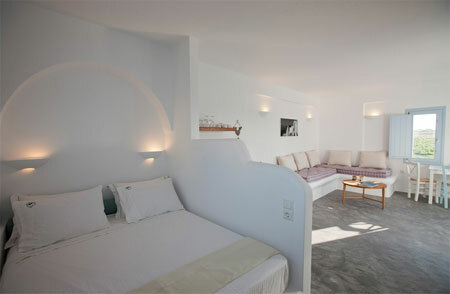 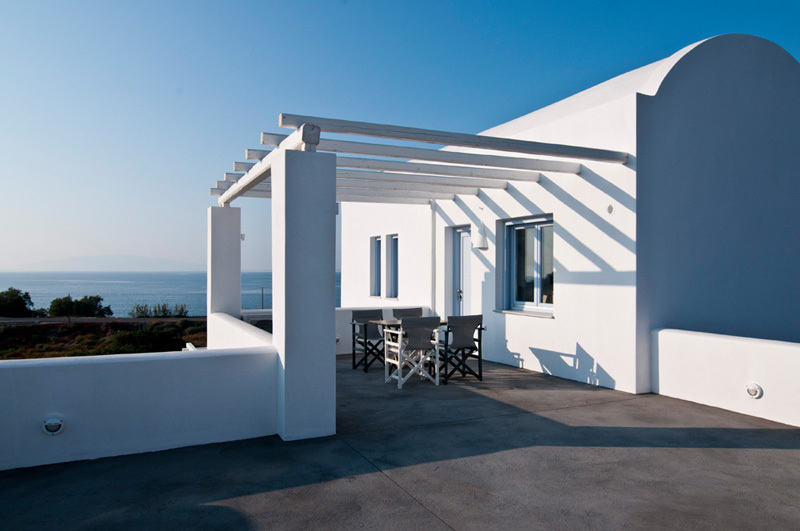 Our newly founded complex is located right in front of the sea at the most beautiful beach of Oia, called Baxedes. 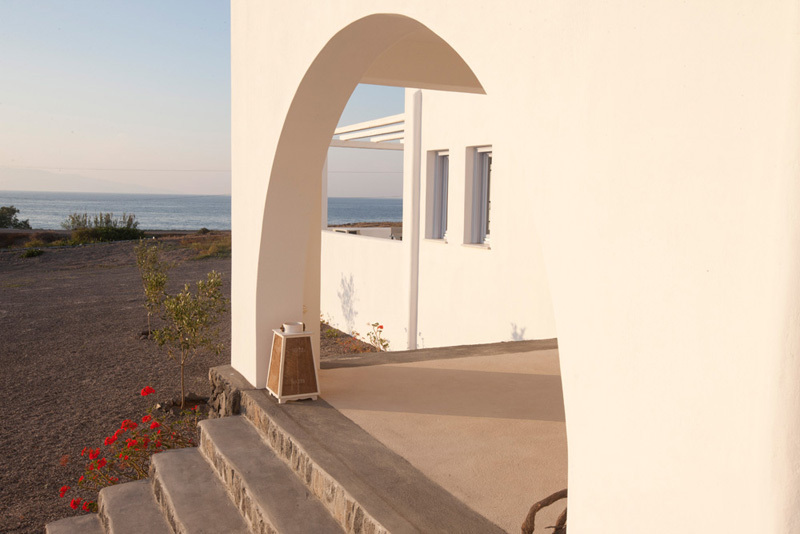 A small, picturesque path of 50 meters through vineyards, leads to the beach. 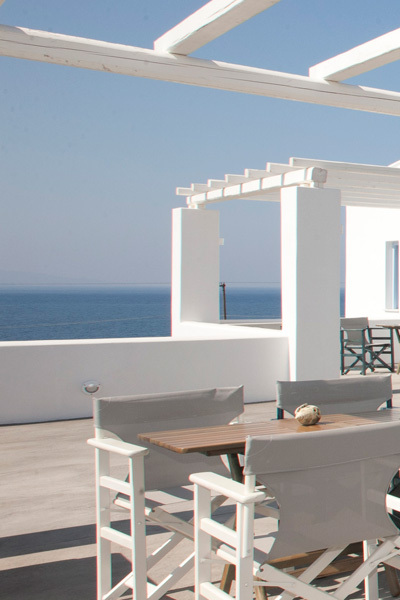 With its excellent arrangement, which complies with the Cycladean architecture, Sun Anemos resort manage to combine a warm family atmosphere with ultimate privacy; the sense of a private house with all the comforts of a luxurious resort. 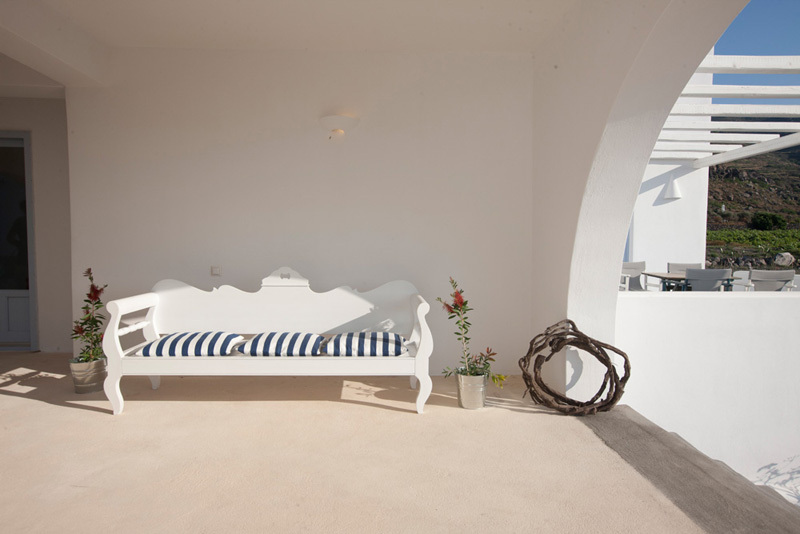 Emphasizing both on the elegant style and hospitality, we are convinced that your accommodation will be unforgettable and your luggage will be full of colors, aromas, pictures and feelings that not only will they not be forgotten but will also be enough to bring you back to our magnificent and majestic island of Santorini soon.